In today’s fast-moving music industry, what does it take to build a life-long career? Now more than ever, all those working in music need to be aware of many aspects of the business, and take control of their own careers. Understanding the Music Business offers students a concise yet comprehensive overview of the rapidly evolving music industry, rooted in real-world experiences. Anchored by a wealth of career profiles and case studies, this second edition has been updated throughout to include the most important contemporary developments, including the advent of streaming and the shift to a DIY paradigm. A new "Both Sides Now" feature helps readers understand differing opinions on key issues. 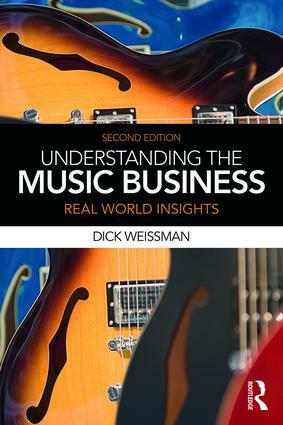 Highly readable, Understanding the Music Business is the perfect introduction for anyone seeking to understand how musical talents connect to making a living.